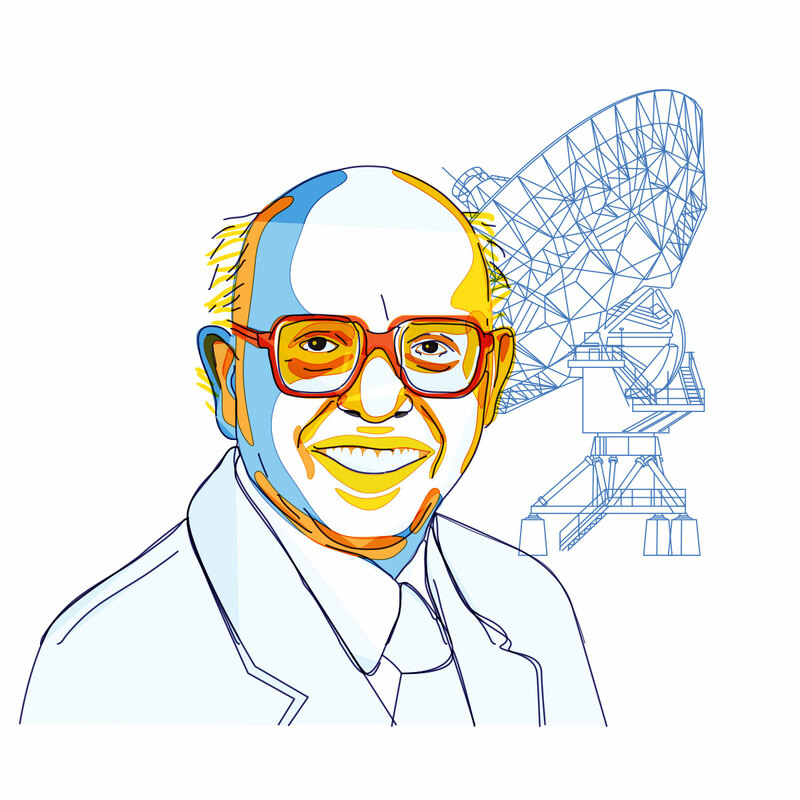 Prof. Govind Swarup, a radio astronomer, discovered the ‘type-U’ solar bursts. He also developed the gyro-radiation model, a model that considers radiation from electrons whose speeds are much smaller than the speed of light, to explain microwave solar emissions. Several observations made by him and his students provide an independent support for the Big Bang model of the Universe. powerful observational facilities are used not just by Indian scientists, but also by scientists from 31 countries world over. A recipient of the Padma Shri, and a Lifetime Achievement Award from the Department of Atomic Energy, Prof. Swarup is a promoter of an all-inclusive approach to teaching science. The proposal that he made along with Prof. V. G. Bhide for a 5 year integrated program for intensive education in science led to the establishment of the Indian Institutes of Science Education and Research (IISERs). Unless we combine undergraduate education with research and experiments in all disciplines, we cannot expect our universities to become world-class.